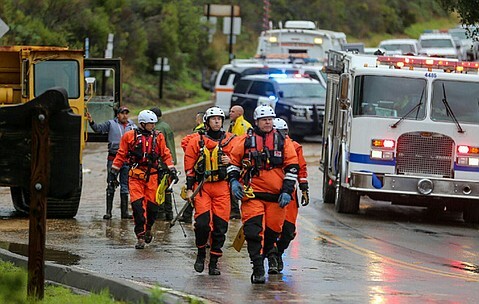 Though the City of Santa Barbara has so far avoided any major damage brought by this morning's storm, a few minor incidents have public safety officials urging caution as heavy rains continue to fall. At 9 a.m. this morning, city firefighters were dispatched to 47 Broadmoor Plaza after a debris flow formed behind numerous nearby apartment complexes. Crews went door-to-door evacuating residents who were then assisted by the Red Cross. Multiple buildings sustained minor damage and the flow is being monitored for any additional movement. At around the same time, a separate city firefighting team responded to a mud flow across the 1600 block of Sycamore Canyon Road. A vehicle with a single occupant was trapped in the debris. A tow truck was used to pull the car to safety. Sycamore Canyon Road remains closed at the Alameda Padre Serra roundabout and at Stanwood Drive until Caltrans crews can clear the roadway. "The City Fire Department would like to advise their residents and visitors to stay indoors during the rough weather," said a department spokesperson. "If you must drive please use extreme caution and slow speeds." DEHRADUN: Officials have set up separate control rooms for both disaster management and election-related purposes at the district collectorate here on Saturday. District magistrate Ravinath Raman directed the disaster management control room team to offer timely assistance to callers in distress. The team members informed him that all five roads to Chakrata that were blocked due to snowfall were cleared by Sunday. The DM also directed the election control room team to be fair and fearless in taking action on complaints regarding violation of the model code of conduct. R C Bahuguna, nodal officer of election control room, told TOI that only one complaint was received at the control room so far. "The complainant alleged that 500 old pipes were replaced with new pipes after the model code of conduct came into force. During an inquiry, executive engineer of Jal Sansthan informed us that the pipes were already there even before the poll code was enforced." 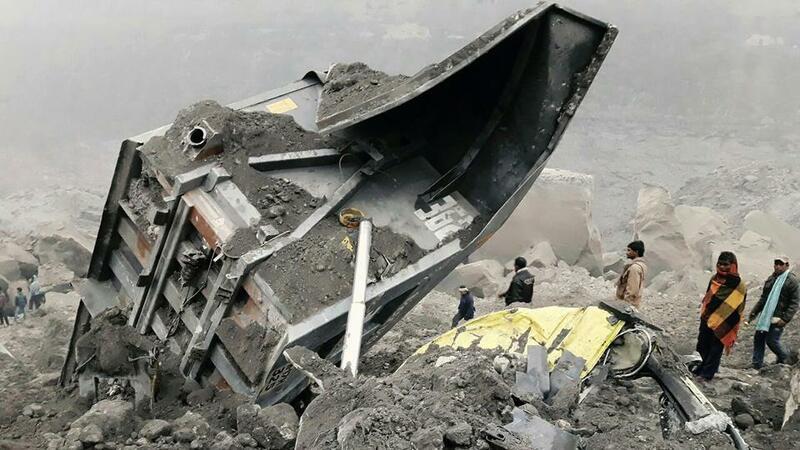 NEW DELHI: At least seven people were killed and several others were feared trapped in an opencast coal mine at Rajmahal area of Eastern rpt Eastern Coalfields Ltd after a cave-in on Thursday night. A heap of mud caved in at the entry point of the Latmatia mines of Eastern Coalfields Limited (ECL) in Godda district, police said. The collapse occurred at 8:30pm yesterday, the state disaster management department said. "So far, bodies of seven miners have been recovered from the mine. Rescue work is on," RR Mishra, officiating CMD of ECL, said. Police said two persons were injured in the incident and were being treated at a hospital. About 40 workers are suspected to be still trapped under the debris. Several vehicles were also trapped, according to police. Rescue work started after midnight, the disaster management department said. Four workers have been rescued, and have been admitted in a hospital at Mahagama in Godda. The condition of one of the workers is reportedly serious. Jharkhand Chief Minister Raghubar Das is closely monitoring the situation, and has asked concerned officials to intensify rescue operations. "Saddened by the loss of lives at a mine in Jharkhand. My prayers are with those trapped inside. Spoke to CM Raghubar Das on the situation "Modi said on twitter. Jharkhand Government & Minister @PiyushGoyal are working to restore normalcy. @NDRFHQ has been engaged for rescue & relief operations. Expressing sorrow, the Jharkhand Chief Minister today announced assistance of Rs two lakh for the families of the miners who died in the accident. He also announced Rs 25,000 to the injured, official sources said. "All senior officials have been asked to stay at the site," the CM said on twitter. Coal India has been requested for a mining rescue station team with specialized equipment. The National Disaster Response Force (NDRF) team reached around 11am from Patna. The local police and administration were also involved in the rescue operation. Where there is a will, there will be a way. India has proven this axiom once more with aplomb. Cut back to year December 26, 2004, the day world's one of the most devastating disaster struck killing 2,30,000 people in 14 countries along the rim of the Indian Ocean. Massive waves swept away buildings and people as if they were just pieces of paper. The damage was worst in Indonesia, Thailand, India and Sri Lanka. In India, an estimated 10,749 persons lost their life and 5,640 people were reported missing. The disaster led to much soul searching as it soon became clear that much of the casualty could have been avoided if only there had been an early warning system for tsunamis in the Indian Ocean region. There were two tsunami warning centres at the global level. But, they catered to the pacific region only. Nobody expected a tsunami in the Indian Ocean. The Tsunami was generated by an undersea earthquake about 250 km south west of the Indonesian city of Banda Aceh and it took anywhere between 15 minutes to seven hours for the fatal waves to reach the various coastlines. The northern regions of the Indonesian island of Sumatra were hit very quickly. But, east coast of India was affected two hours later and west coast in four hours. In other words, there was enough time to warn the people in India. Seismologists knew that a massive earthquake with a magnitude of 9.3 on the Richter scale had occurred. 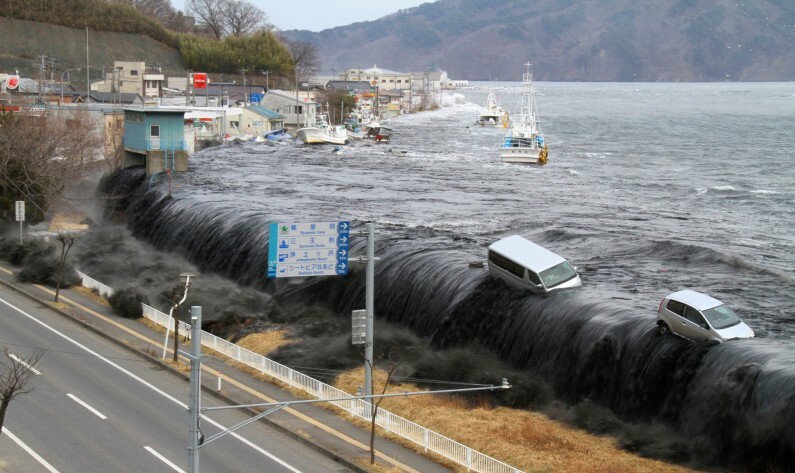 But, it was not known that it had generated a tsunami. As a result, huge tsunami waves swept India, Sri Lanka, Indonesia, Thailand and other countries along the Indian Ocean with no warning what so ever. In India, the coastal communities in Tamil Nadu, Puducherry, Andhra Pradesh, Kerala, and Andaman and Nicobar Islands were devastated. Since then, the situation has undergone a sea change. 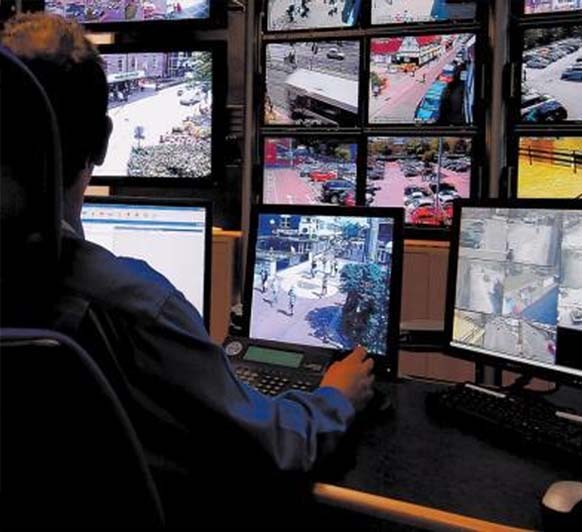 Today, a 24X7 early warning system is operational. It has a capability to issue tsunami bulletins in less than 10 minutes after any major earthquake in the Indian Ocean. This provides a response/lead time of about 10 to 20 minutes to regions nearer to the epicentre of the quake and a few hours in the case of regions further away. The great Indian Ocean tsunami occurred on December 26, 2004 and within a year the Government approved the setting up of an early warning system after detailed brainstorming sessions with experts in the field both within and outside the country. Set up at a cost of Rs. 150 crore, the system became operational on October 15, 2007. Initially, it had a capability to issue a warning within 20 minutes. It has since then been fine tuned and first warning is now available within 10 minutes. The Indian Tsunami Early Warning System [ITEWS] comprises of a real time network of seismic stations, tsunami buoys and tide gauges. These are linked to a state-of-art tsunami centre – Indian Tsunami Early Warning Centre [ITEWC], where the data are analysed using high power computational systems. Advisories are issued automatically to the various stakeholders beginning from the Ministry of Home Affairs and the National Disaster Management Authority to State and district level disaster management centres for necessary follow up action. The ITEWC is located at the Union Ministry of Earth Science's Indian National Centre for Ocean Information Services [INCOIS] in Hyderabad. The real time seismic monitoring network comprises of 17 broadband seismic field stations transmitting real time data through V-SAT communication to the central receiving stations located at INCOIS and the National Centre for Seismology at New Delhi simultaneously for processing and interpretation. In addition, data from around 300 global seismic stations is received at INCOIS in near real time. These data sets form the basis for determining the preliminary parameters of earthquake epicentre, focal depth and magnitude. The earthquakes are auto-located within 5-10 minutes of occurrence. The brain of the early warning system is a state of the art decision support system at ITEWC, which has a database of all possible earthquake scenarios for the Indian Ocean. 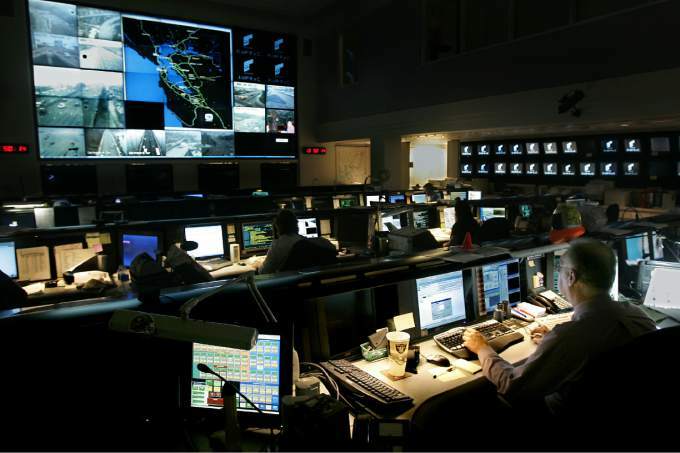 The moment a tsunamigenic earthquake -- an undersea quake with a magnitude of 6.5 and above occurs, the decision support system gets activated and rapidly goes through the database and fishes out the matching advisory. A strong earthquake struck near the Solomon Islands in the South Pacific today, but there were no initial reports of injuries or damage and it did not trigger a tsunami warning. The magnitude-6.7 quake was likely an aftershock of a powerful earthquake that hit the Solomon Islands on December 9. That magnitude-7.7 quake killed one person and left hundreds with homes that were damaged or destroyed. The earlier earthquake also triggered dozens of strong aftershocks. The US Geological Survey said Tuesday's quake was centered about 80 kilometers northwest of Kirakira and 160 kilometers southeast of the Solomon Islands' capital, Honiara. It had a depth of 35 kilometers. 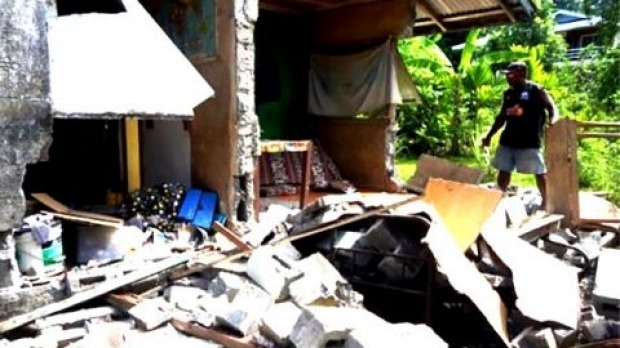 A man who answered the phone at the Solomon Islands National Disaster Management Office said the quake did not feel particularly strong where he was located in the capital, but that they were still awaiting reports from those parts of the island nation nearest the epicenter. He said he didn't have any reports of damage or injuries. The Solomon Islands sit on the Ring of Fire, the arc of seismic faults around the Pacific Ocean where earthquakes are common. There was also another big earthquake in neighboring Papua New Guinea on Saturday. That magnitude-7.9 quake knocked out power in parts of Papua New Guinea and triggered a small tsunami. 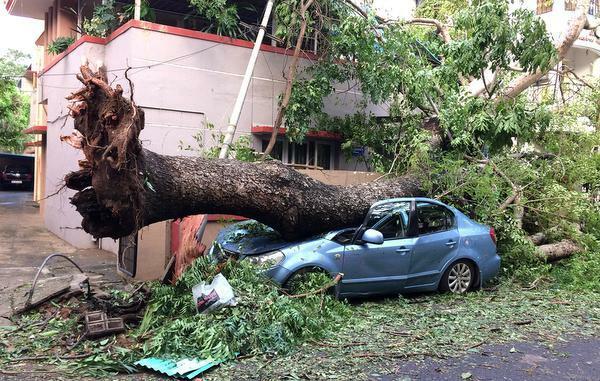 v Vardah caused severe damage to property and vehicles in Chennai last week. The Assocham estimates losses from this cyclone at around ₹6,500 crore. This cannot be considered an isolated incident; data from the National Disaster Management Authority shows that India is vulnerable to a large number of disasters. 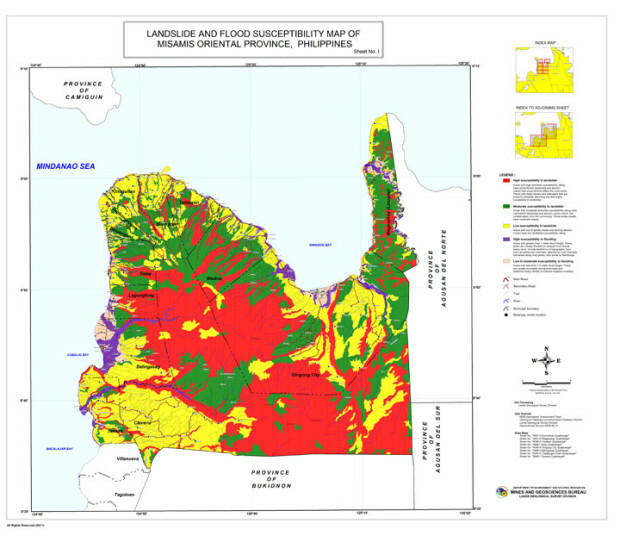 More than half of the landmass is prone to earthquakes of moderate to very high intensity; over 40 million hectares (12 per cent) of land is vulnerable to floods; close to 5,700 km, out of the 7,516 km long coastline, is prone to cyclones and tsunamis. Given the uncertainty, a comprehensive insurance cover for your home and vehicles can be of help, irrespective of where you reside. A motor insurance policy has two parts — an own damage (OD) cover and a third-party liability cover. While the third-party liability cover is compulsory, the OD cover is optional. Damages due to a natural catastrophe, such as a cyclone, fall under the OD cover. In the Chennai floods last year, many car insurers rejected claims for repair or replacement of the engine as, in most cases, it was a ‘consequential loss’ as the owner tried to move the vehicle through a water-logged area. Consequential losses are not covered under the regular motor insurance policies as they are not the outcome of a catastrophic event, but the result of a certain action of the policyholder, says Sanjay Dutta, Chief Underwriting Claims and Reinsurance, ICICI Lombard. But in case of events such as cyclones, there is no such distinction, says Pankaj Verma, Head-Claims, SBI General. “If the car was parked under a tree and was damaged because of the high winds during a cyclone, resulting in the tree collapsing on the car, it will still be covered under motor insurance. Any act-of-god is covered under the insurance in a motor policy or fire policy, unless it is specifically excluded,” he explains. Accessories such as music player, stereo system, parking camera and air-conditioner are not covered under the regular motor insurance policy unless you specifically ask for it and pay an additional premium. Car interiors and upholstery are covered, but they attract high depreciation. For all rubber, plastic and nylon parts, tyres and tubes, batteries and air bags, the insurance cover assumes 50 per cent depreciation. For fibre glass components, 30 per cent depreciation is charged. For wooden, metal and other parts, depending on the age of the vehicle, depreciation may vary from 5 to 50 per cent. To avoid any disappointments at the time of need, you can opt for add-on covers that come with the motor insurance policies, says Sasikumar Adidamu, Chief Technical Officer, Bajaj Allianz General Insurance. For instance, a consequential loss, say to the engine, will be covered under ‘engine protect’ or ‘engine secure’. You can also consider a ‘zero depreciation’ cover or what is called ‘bumper-to-bumper’ cover. This cover is slightly expensive but pays full price for claim on spare parts. ‘Invoice cover’ is another add-on. Here, the policyholder will be paid the cost of buying a new car of a similar make and model. The additional premium you will have to cough up for zero depreciation and invoice cover will be about 10-20 per cent. In catastrophic events, not just the building but also the contents of the house get damaged. In the cyclone last week in Chennai, residents of the city saw severe damage to window-glass panels, doors, roof, compound wall, AC units kept in the terrace and furniture in the sit-out and garden. A home insurance will come in handy in such situations, says Nikhil Apte, Chief Product Officer, Royal Sundaram General Insurance. For home insurance, you can either choose a basic fire policy or a comprehensive cover. While a fire policy may cover the house only against fire and allied perils, a comprehensive home insurance will also cover other risks, such as loss due to burglary or theft along with earthquake, fire, landslide, and flood. In case of fire policies, also note that any consequential loss will not be covered. For instance, in New India Assurance’s fire policy, any loss or damage to an electronic machine arising from short circuiting, or leakage of electricity, is excluded. To cover the structure of your house, sign up for a ‘re-instatement cover’ rather than an ‘indemnity cover’. The former will compensate you for the cost of reconstructing the home; in the indemnity policy, the compensation is based on the re-construction cost less depreciation. In addition, make sure you buy a policy that pays up for replacing the damaged contents. If you want a cover for electrical/mechanical break down, you should ask for it specifically, otherwise, it is generally excluded. Also, remember that DG sets and solar panels, which are usually installed outside the house, may not be covered under home insurance and one needs to specifically include these under the policy. For content worth ₹4 lakh, the premium works out to ₹1,500-2,000 which is ₹4-6/day. For the structure, assuming sum insured of ₹50 lakh, the annual premium would be ₹2,500-3,500. CHENNAI: Cyclone Vardah is expected to make landfall this afternoon in Tamil Nadu and several flights arriving at Chennai and flying out of the city have been cancelled or delayed this morning amid heavy rain and strong winds along the state's coast. Both Tamil Nadu and neighbour Andhra Pradesh are on high alert and teams from the Navy and the National Disaster Response Force are on standby. Cyclone Vardah is likely to hit land near Pulicat, around 60 km from Chennai, with wind speeds of around 80 to 100 km an hour. The storm, which was earlier expected to weaken, may not lose intensity after all, the Met office has said. Flight operations were hit at Chennai airport. 15 flights were cancelled, 25 flights were diverted; 9 incoming flights delayed. All schools and colleges have been ordered shut in Chennai, Kancheepuram and Tiruvallur, besides coastal areas of Villupuram. The Tamil Nadu Government has also asked private offices to allow their staff to take a day off or work from home. Heavy rains and gusty winds lashed the northern coastal districts of Tamil Nadu, including Chennai today. Power supply was suspended in many parts of these regions as a precautionary measure. 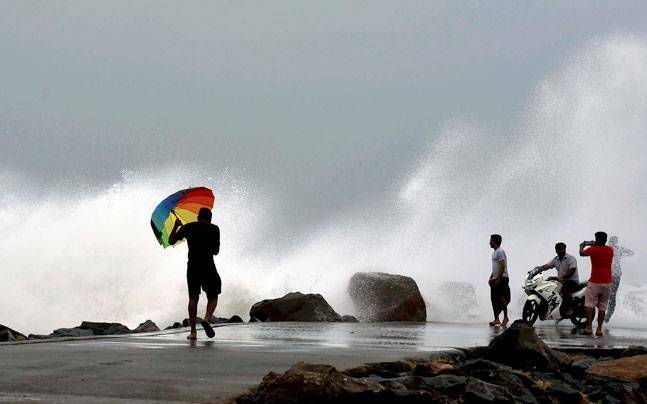 The Met department says the sea will be rough along and off the Andhra Pradesh and north Tamil Nadu coasts. The fishermen have been asked to avoid the sea for the next 48 hours. People in low-lying areas have been asked to move to safer zones even as various government departments prep to deal with a possible crisis. According to the Cyclone Warning Division of the India Meteorological Department, (IMD), Vardah, which is currently, a very severe cyclonic storm, will weaken, but only to a severe cyclonic storm. At 9:30 am, the cyclone was lay centered around 105 kms east-northeast of Chennai. By the time it makes a landfall, its wind speed is expected to be 100-110 kmph with winds gusting up to 120 kmph. Tamil Nadu Chief Minister O Panneerselvam, who took office last week after J Jayalalithaa's death, held a meeting of the State Disaster Management Authority. "Arrangements to be made for evacuating people in low lying and vulnerable areas. Relief centres to be kept in readiness along with necessary food, water and other arrangements. Army, Navy, Air-force and Coast Guard have been alerted to be on standby for deployment as and when necessary," a statement from the chief minister's office said. National Disaster Management Authority, in a tweet, advised people "to remain in safe places and cooperate with state government officials and disaster management agencies". Senior officials have been sent to the districts that are likely to be on the path of the cyclone. The Navy said it is ready for relief operations. Their ships have additional divers, doctors, inflatable rubber boats, integral helicopters and relief material including food, tents, clothes, medicines and blankets fit for over 5,000 people. Besides, 30 diving teams with additional relief material are kept on standby. The storm is expected to damage thatched huts, power and communication lines. Paddy crops and orchards may also be affected in Chennai, Thiruvallur and Kanchipuram districts of Tamil Nadu; Ongole and Nellore districts of Andhra Pradesh and Puducherry, the Met department said in its advisory. Andhra Pradesh Chief Minister N Chandrababu Naidu also reviewed the situation through teleconference with top officials on Sunday evening. Food and other essential commodities have been kept ready in adequate quantities, he said. MEUREUDU, INDONESIA: At least 25 people died and hundreds were injured after a strong earthquake struck off Aceh province on Indonesia's Sumatra island on Wednesday, local officials said. 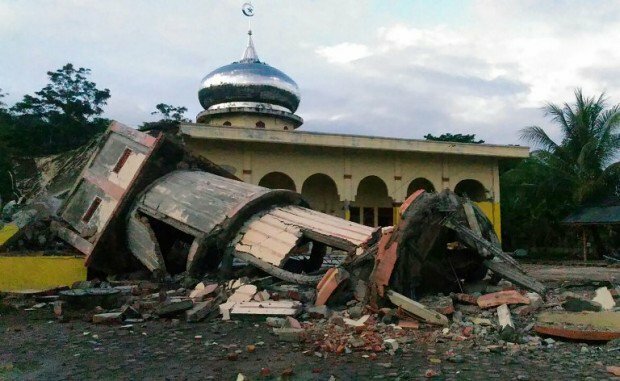 The shallow 6.5-magnitude quake struck Pidie Jaya district at dawn, as some in the predominantly Muslim region prepared for morning prayers. "The data we have now is that 25 people have been killed and hundreds are estimated to have suffered injuries," he told AFP. Local district secretary Iskandar Ali also confirmed the figure, citing preliminary data that showed at least 25 had died in the quake. Meureudu resident Hasbi Jaya, 37, said his family was asleep when the powerful quake struck. "We immediately ran outside the house but it crumbled. Everything from the roof to the floor collapsed, and was destroyed," he told AFP. "I looked around and all my neighbours' houses were also completely destroyed." The local hospital was struggling to cope, with the injured being treated on the ground outside the front of the building. Patients were also being sent to a neighbouring district with greater facilities, said deputy district chief Said Mulyadi. He said at least seven children were among the dead, and many more had suffered broken bones and other injuries. "There are many shophouses have caved in, and many (people) are alive but trapped," he told AFP. ceh lies on the northern tip of Sumatra island, which is particularly prone to quakes.